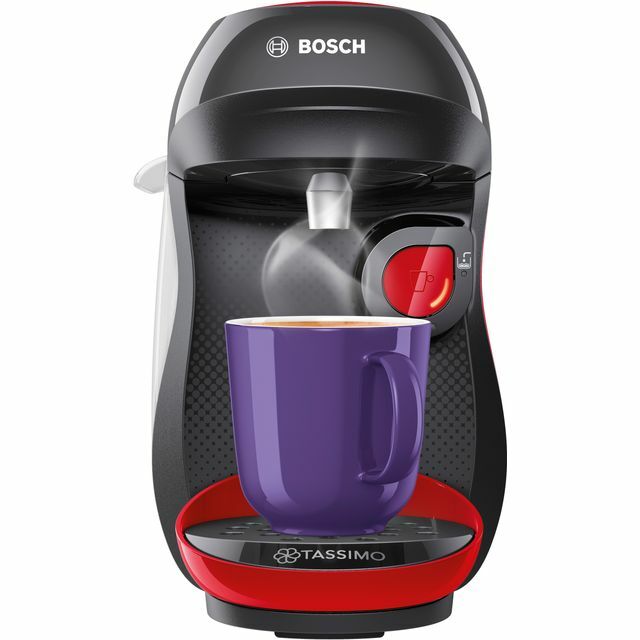 Indulge your inner barista with this sleek and compact red/black Tassimo pod coffee machine from Bosch. 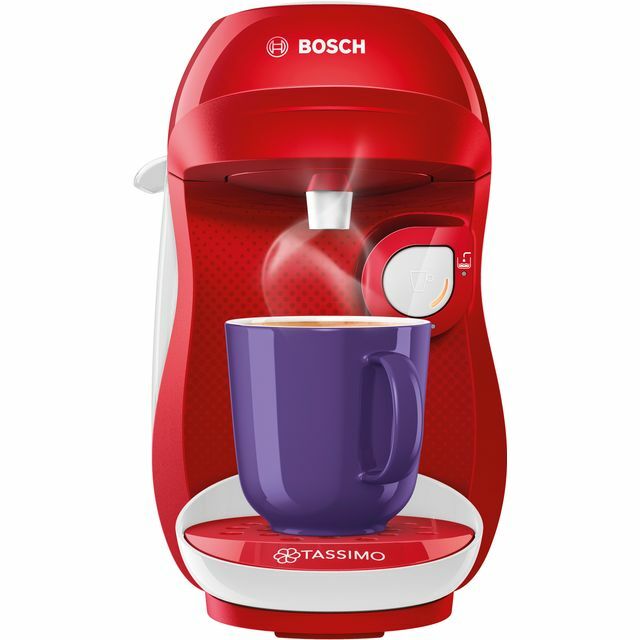 It heats up quickly using its 1400 Watt output, and with its generous 700ml capacity, you can easily make a selection of delicious drinks for the whole family. The INTELLIBREW™ system cleverly calculates the ideal brewing time for your chosen beverage, so you can enjoy perfectly infused coffees and decadent hot chocolates without the guesswork. 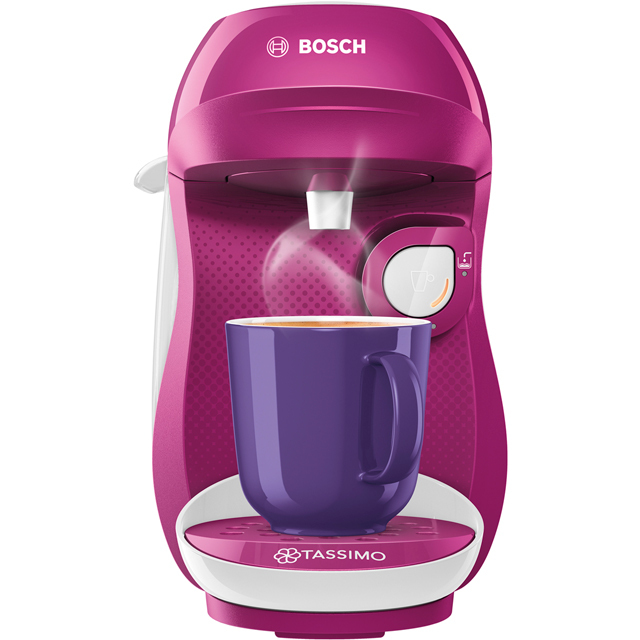 This model is also compatible with a range of cup sizes, so you’ll never be denied your morning espresso or evening cappuccino. 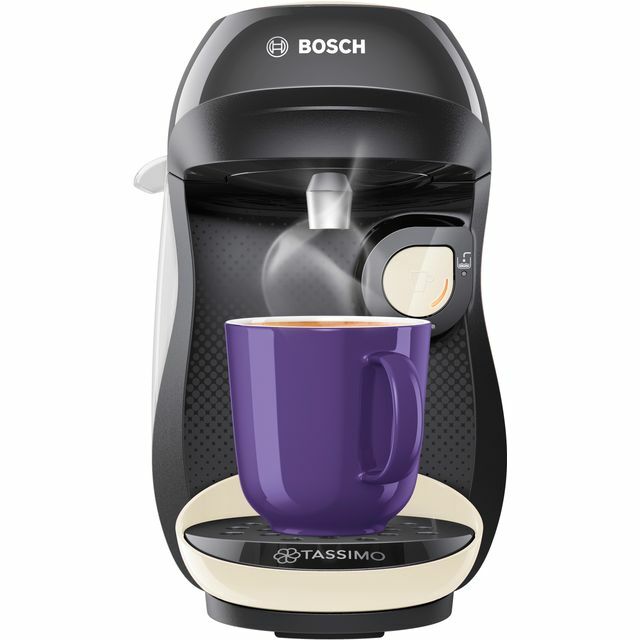 The removable drip tray makes it easy to clean too, giving you more time to unwind with your favourite hot drink. I love coffee and didn’t wanna splash out on £’s on a professional on. This machine is nice sleek and compact. Choices of coffees is amazing providing different flavours for everyone. * TAS1003GB_RDBK was at the higher price between 13/03/2019 and 10/04/2019.